“Avengers: Infinity War” and “Bad Samaritan.” For more information on other releases this week, see the Weekly Guide to Home Video Releases. “The Ballad of Gregorio Cortez” (1982): Forced to run from the Texas Rangers after a heated misunderstanding leads to the death of a lawman, Mexican American farmer Gregorio Cortez sets off in desperate flight, evading a massive manhunt on horseback for days. 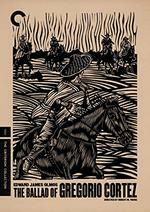 Producer-star Edward James Olmos, seeking to shed new light on a historical incident that had been enshrined in a corrido (folk song), enlisted director Robert M. Young, a longtime practitioner of socially engaged realism, to helm this trailblazing independent film, a landmark of Chicano cinema. Shifting its perspective between the pursuers and the pursued, “The Ballad of Gregorio Cortez” is a thrilling chase film and a nuanced procedural that peels away the layers of prejudice and myth surrounding Cortez, uncovering the true story of an ordinary man persecuted by the law and transfigured by legend. On DVD, Blu-ray Disc with new 2K digital restoration, with uncompressed monaural soundtrack on the Blu-ray. From The Criterion Collection. 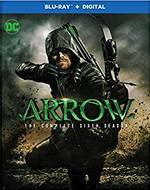 “Arrow: The Complete Sixth Season” (2017-18) is a four-disc set with all 23 episodes. Following the devastating explosion on Lian Yu, Oliver Queen (Stephen Amell) returns home to confront a challenge unlike any he’s ever faced: fatherhood. Oliver is determined to embrace this new role while continuing to serve and protect Star City as both Mayor and The Green Arrow. But enemies past and present, including Black Siren (Katie Cassidy), Vigilante (Johann Urb), Ricardo Diaz (Kirk Acevedo), Cayden James (Michael Emerson) and others, threaten him on all fronts. On DVD, Blu-ray, from Warner … “The Blacklist: Season Five” (2017) is a five-disc set with all 22 episodes. Feeling surprisingly unencumbered, Raymond “Red” Reddington (James Spader) is back and in the process of rebuilding his criminal empire. His lust for life is ever-present as he lays the foundation for this new enterprise — one that he’ll design with Elizabeth Keen, living with the reality that Red is her father. Liz finds herself torn between her role as an FBI agent and the temptation to act on her more criminal instincts. In a world where the search for Blacklisters has become a family trade, Red will undoubtedly reclaim his moniker as the “Concierge of Crime.” On DVD, Blu-ray from Sony … The 10 episodes of Season One of “Here and Now” (2018) follows the Boatwrights, a progressive, suburban family led by philosophy professor, Greg (Tim Robbins), and conflict-resolution consultant, Aubrey (Holly Hunter), in Portland, Oregon. They’re a Caucasian couple with three now-grown adopted children from Liberia, Vietnam, and Colombia, as well as one teenage biological daughter. Although the Boatwrights are materially rich, each member lacks happiness or fulfillment behind a seemingly perfect façade. Four-disc DVD, three-disc Blu-ray, from HBO. In “Affairs of State” (2018), starring David Corenswet, David James Elliott, Adrian Grenier, Mimi Rogers, Grace Victoria Cox and Thora Birch. In his quest for power, D.C. aide Michael Lawson (Corenswet) will do anything to take part in Senator Baines’s (Elliott) White House campaign, including blackmailing Baines’s shady advisor (Grenier) and sleeping with the candidate’s wife (Mimi Rogers). But when he gets involved with the senator’s alluring daughter, Lawson (Cox) learns his dangerous game could have a deadly payoff. 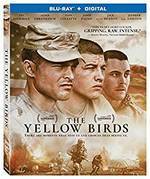 On DVD, Blu-ray, from Lionsgate … In “The Yellow Birds” (2017), starring Tye Sheridan, Alden Ehrenreich, Toni Collette, Jack Huston and Jennifer Aniston, set against the explosive backdrop of the Iraq War, young soldiers Brandon Bartle (Ehrenreich) and Daniel Murphy (Sheridan) forge a deep bond of friendship. When tragedy strikes the platoon, one soldier must return home to face the hard truth behind the incident, and help a grieving mother (Aniston) find peace. On DVD, Blu-ray, from Lionsgate … “Destined to Ride” (2018), starring Madeline Carroll, Joey Lawrence, Denise Richards, Cassi Thomson, Amber Frank and Manolo Gonzalez Vergara, is a family drama about a teenager who thinks her social life is over when she’s sent to her aunt’s ranch for the summer — but to her surprise she develops an unbreakable bond with a horse named Pistachio. She tames the spirited horse and finds herself in a competitive race to save her aunt’s land from nasty neighbors and avoid losing her now treasured new companion. 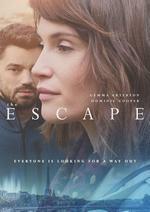 From Sony … In “The Escape” (2017 — UK), starring Gemma Arterton, Dominic Cooper and Frances Barber, Tara (Arterton), a housewife in suburban London, is living a life that is no longer hers: It belongs to her overworked, self-absorbed husband (Cooper), her young son and daughter, and the numbing routine of housework and child care. In desperate need of a change, Tara one day makes a bold decision. Armed with a one-way ticket to Paris, she leaves everything behind to rediscover herself in a new city – but walking out on your life isn’t so simple. From IFC Films … When the Universe decides what it wants, it’s pointless to resist in “Higher Power” (2018), starring Austin Stowell, Jordan Hinson and Ron Eldard. With his family’s life at stake, Joseph Steadman (Eldard) finds himself the unwilling test subject of a maniacal scientist in a battle that could save the world, or destroy it. 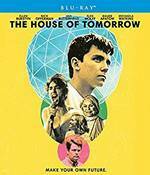 On DVD, Blu-ray/DVD Combo, from Magnolia Home Entertainment/Magnet Label … In “The House of Tomorrow” (2017), starring Ellen Burstyn, Nick Offerman, Asa Butterfield, Alex Wolff, Maude Apatow and Michaela Watkins, Sebastian (Butterfield) is a 16-year-old who has spent most of his life with his Nana (Burstyn) in their geodesic dome home, a tourist attraction where she raises him on the futurist teachings of her former mentor Buckminster Fuller in hopes that one day Sebastian will carry Fuller’s torch and make the world a better place. But when illness sidelines Nana, Sebastian begins sneaking around with Jared (Wolff), a chain-smoking, punk-obsessed 16-year-old with a heart transplant who lives in the suburbs with his Bible-banging single father, Alan (Offerman), and teenage sister Meredith (Apatow). Sebastian and Jared form a punk band and with his Nana’s dreams, his first real friendship, and a church talent show at stake, Sebastian must decide if he wants to become the next Buckminster Fuller, the next Sid Vicious, or something else entirely. On DVD, Blu-ray, from Shout! Factory … In “How to Talk to Girls at Parties” (2018), starring Alex Sharp, Elle Fanning and Nicole Kidman, Enn (Sharp) is a shy suburban teenager who sneaks out to after-hours punk parties in London in 1977. One night, Enn and his friends meet some teens who seem like they’re from another planet; in fact, they are from another planet, visiting Earth to complete a mysterious rite of passage. Enn falls for beautiful alien Zan (Fanning) — and into a delirious adventure that will test the limits of their love in this latest film from director John Cameron Mitchell (“Hedwig and the Angry Inch”). On DVD, Blu-ray, from Lionsgate … When his friend Paul dies unexpectedly, Travis heads deep into the woods to say goodbye in “Show Yourself” (2018), starring Ben Hethcoat, Corsica Wilson, Barak Hardley, Clancy McCartney, David McElwee, Stephen Cone and Robert Longstreet. As Travis deals with his grief, and the way it has affected the relationships in his life, he starts to realize that he actually might not be alone in the woods. Curiosity turns to horror as Travis comes face-to-face with something both inexplicable and frighteningly familiar. From Summer Hill Entertainment. “Lady Street Fighter” (1981), starring Renee Harmon, Jody McCrea and Trace Carradine, is written and produced by exploitation demigod Renee Harmon. It’s the story of Linda (Harmon), a tough-as-nails karate cop on the trail of the ruthless scumbags who murdered her twin sister. From the outrageous fight scenes to Harmon’s incredible outfits, the film is a joyous blast of no-holds-barred chaos from one of the most important female filmmakers in genre history. A new 2K transfer of this trash-action classic. On Blu-ray from American Genre Film Archive [AGFA] … When two bumbling employees at a medical supply warehouse accidentally release a deadly gas into the air, the vapors cause the dead to rise again as zombies in “Return of the Living Dead Part II Collector’s Edition” (1985), starring James Karen, Thom Matthews, Dana Ashbrook, Marsha Dietlein, Philip Bruns and Michael Kenworthy. In a new 2K scan of the film from Scream Factory … In “The Unborn” (1991), starring Brooke Adams, Jeff Hayenga and James Karen, a couple who can’t have children joins an in-vitro fertilization program but the young wife (Adams) suspects that a mysterious doctor (Karen) has inseminated her with mutated sperm in an attempt to create a super-human fetus. Unfortunately, there are extreme side-effects. In a Blu-ray debut with a new 2K scan from Scream Factory. In the offbeat, acclaimed blend of Japanese erotica, folklore and animation “The Suffering of Ninko” (2016 — Japan), a devout Buddhist monk is the object of every woman’s desire. Ninko, a young, diligent Edo period Buddhist monk, has one serious problem: women can’t seem to resist him. They pester him so much that he can’t even ask for alms in town. Since sexual indulgence is considered a sin, he blames himself for not being virtuous enough. One day, he runs into a masked woman in the forest who tries to seduce him. Running away from her, his problem only gets worse. Nearly driven mad, he escapes deep into the mountains to be alone. There, he finds a deserted village, victimized by a rapacious mountain goddess, Yama-onna, who seduces and kills the men of the valley. When a samurai claims that he can kill the goddess, Ninko follows him, hoping that he’ll rid him of his curse. From IndiePix Films. “Arthur: D.W. and the Beastly Birthday” (2018) features two episodes from television’s longest-running children’s animated series and one of the top-rated kids series on PBS KIDS: “D.W. and the Beastly Birthday” and “Arthur’s Birthday.” Formats: DVD, Digital. From PBS Distribution. 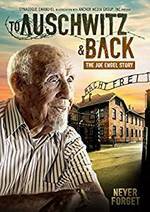 The Documentary “To Auschwitz & Back: The Joe Engel Story” (2018) tells an incredible story of persecution, one man’s inner-strength and fortitude and a daring escape from internment in Nazi Germany. Born in Zakroczym, Poland in 1927, Engel was taken by the Nazis at 14 and never saw his parents again. From the overwhelming despair of the Warsaw Ghetto, to the shroud of unceasing death and suffering that was Birkenau and Auschwitz, Engel vividly takes viewers to hell and back through his escape from a Death Train at 17 and covert work as a freedom fighter until Liberation in 1945. With the assistance of The United States Holocaust Memorial Museum’s film and photographic archives, filmmaker Ron Small has successfully woven Engel’s incredible storytelling into a riveting visual presentation that is both historic and contemporary. This is the first film to be released from the newly launched Holocaust Education Film Foundation, a 501c3 organization founded with the objective of assuring that the painful legacy of the Holocaust is never forgotten by producing documentaries with survivors from around the world. From Dreamscape Media.